When Lisa received a sponsorship as a Marine Mammal specialist, she packed her bags immediately and made the trek to Australia from a small coastal town in Scotland. When deciding on where to land in Australia, Lisa and her partner Steve would look no further than Moonee Beach. It reminded her of home, and all the things the couple loved when it comes to living in a coastal community; feeling immediately welcomed by the locals and knowing that people are happy to help each other out. Lisa’s family are second generation dog breeders and being found asleep as a child, curled up with her dogs was not an uncommon occurrence. So it wouldn’t come as a surprise to anyone, that she would become a dog lover and make a career from working with animals. After studying as a Marine Mammal Specialist and working at Edinburgh Zoo, at age 23 Lisa felt the call to move away from all she knew and applied for sponsorship in her field in Australia. She completed her visa requirements but having become disillusioned with the work, a friend offered her a position within a pet store. Having fallen in love with dog grooming, Lisa attended the Grooming School Australia and studied to be a pet stylist. Back in Scotland, dogs are considered a big part of the community and their owners take them everywhere, to the pub, restaurants, hotel accommodation and on trains. Even working farm dogs will sleep inside the house, often with the occasional goat. Lisa recalls one of her first grooming clients telling her that their pet was an ‘outside dog’, initially she was incredulous as this would be considered scandalous back in North Berwick. “Especially the old men and young tradies, they would have a pint at the pub with their dogs, with water bowls and treats often provided by the establishment,” explains Lisa. 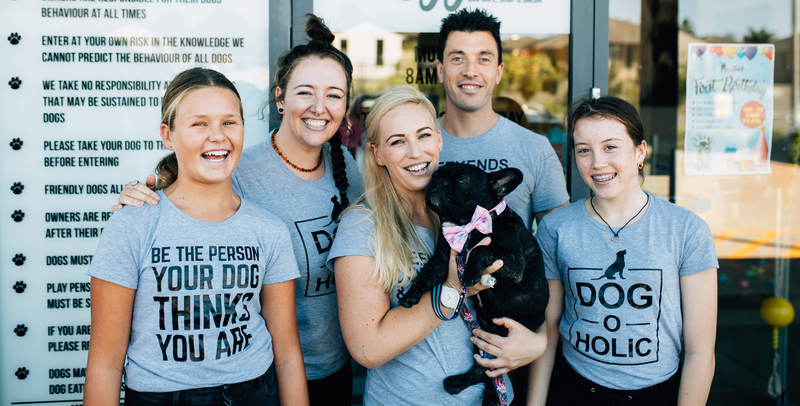 Lisa and Stephen decided to open Maggie’s Dog Cafe & Salon in Moonee in 2017. The vision was to create a relaxing space for people to spend quality time with their dogs. Cleanliness and hygiene were a priority, as Australians would need to get used to the idea of their pets being ‘inside dogs’ in a commercial setting. 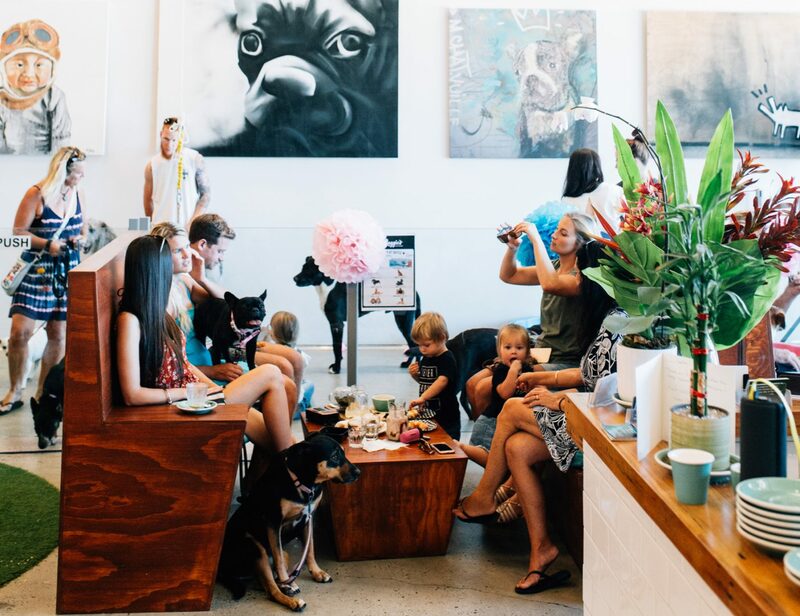 So Moonee Market was the perfect choice; the concrete floors and high ceilings made for a modern aesthetic but also ensured that doggie do’s or smells wouldn’t pose a problem to clientele. 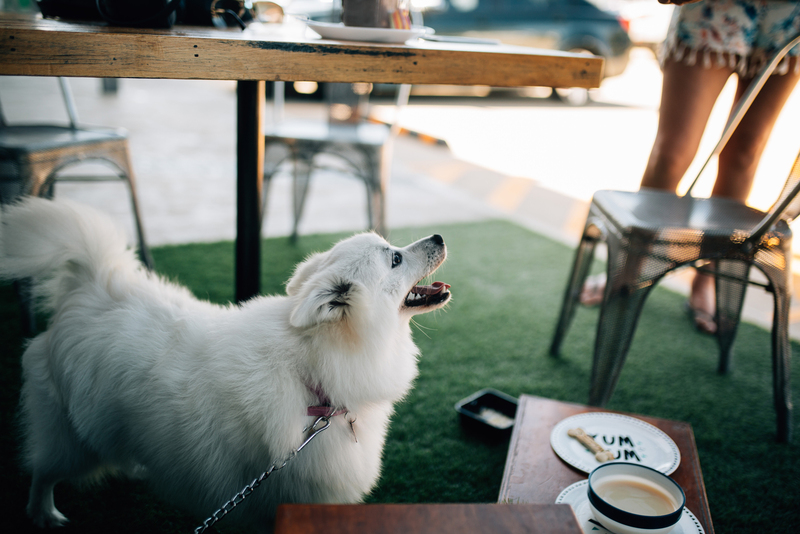 The cafe space is set-up so dogs can sit eye-to-eye with their owners, while they chow down their puppacino, yoghurt based ice cream, gluten-free pie or biscuits. 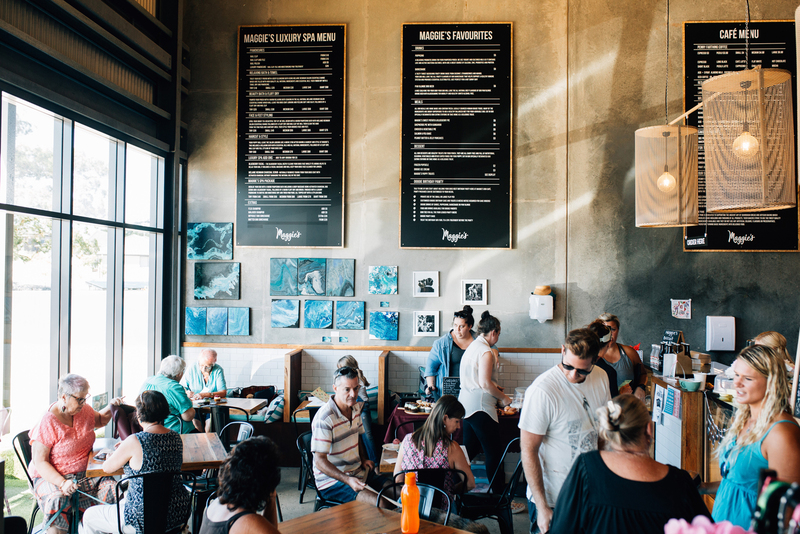 The menu line-up for humans sounds just as wholesome and delicious with smoothies, healthy wraps and locally roasted, organic coffee. Stephen (who makes the pet treats and recipes) uses buckwheat and chickpea flour in all the recipes as they pack a more nutritional punch and are less likely to cause allergies amongst the clients. 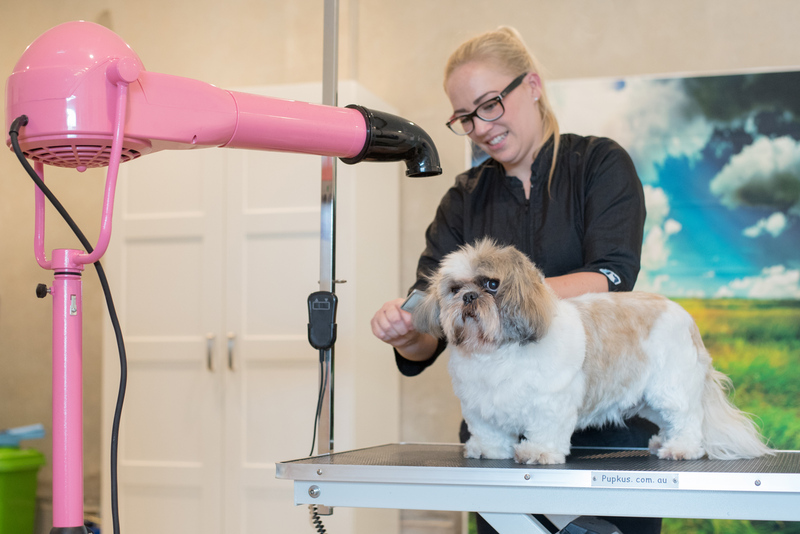 Maggie’s other services include doggy day care, grooming, playpens and a shop that only stocks Australian, small-business products, which was an important point of differentiation to the bigger pet retailers. Two years since launching Maggie’s, Lisa and Stephen could not be happier. They’re running a great business that has been supported by the community from the outset and now has a loyal following of 1,100 clients. “It’s been hard work with no shortage of challenges, but I wouldn’t have it any other way,” Lisa says. Lisa adds, “We’re in love with Moonee and the small town vibe where all the business owners know each other and we have quickly become a part of a great community.” It makes sense too as husband, Stephen is also a surfer and in their well-deserved relaxation time both enjoy the local bush walks, native wildlife and idyllic beaches that the Coffs Coast offers in abundance.